One killed in wreck in Baldwin. BALDWIN, Long Island (WABC) -- A 27-year-old woman was killed in a crash in Baldwin Friday morning. 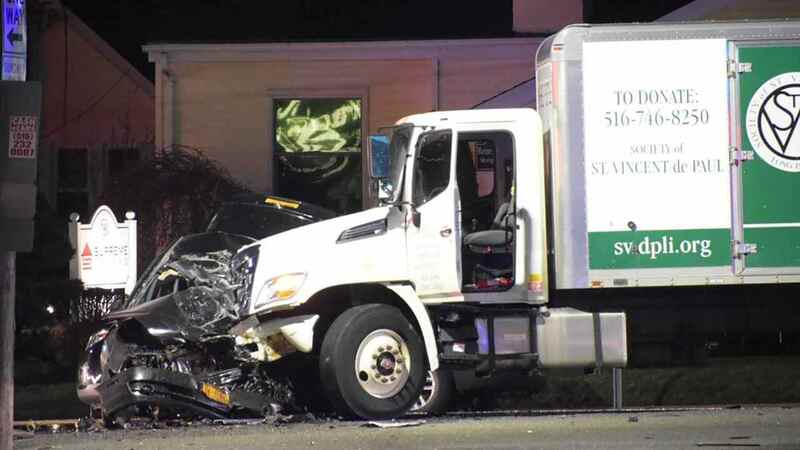 A car and truck collided at Merrick Road and Gale Avenue just after 1:45 a.m.
Police say Chelsi Perez, of Rockville Centre, was driving at a high rate of speed when she lost control on Merrick Road and collided with the box truck. The 69-year-old driver of the box truck, who works for a church and was making a pickup, was evaluated at a nearby hospital for non-life threatening injuries. Both vehicles were removed from the scene for brake and safety testing.